Happy Mother’s Day to All Mums. My Top 10 Venues to Celebrate Mother’s Day. Here are my 10 Top Restaurants for you to Celebrate this Mother’s Day weekend with your loved ones. 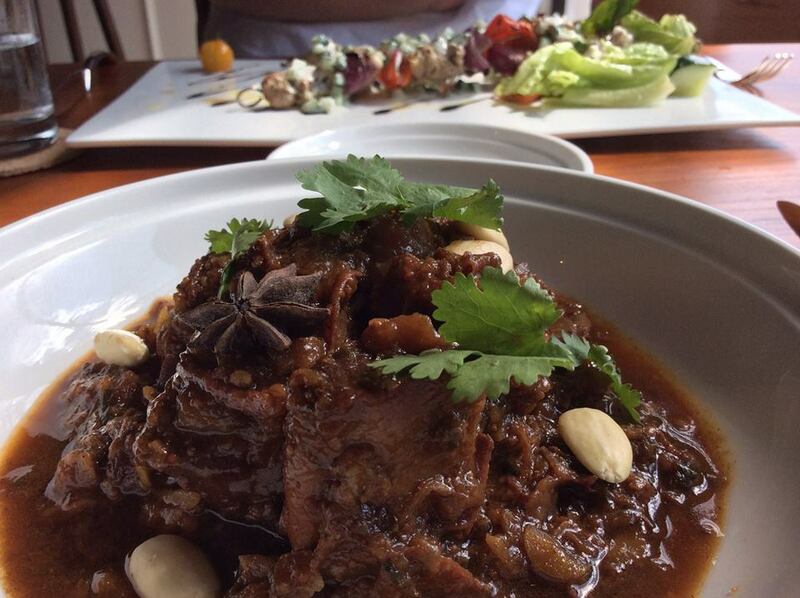 All have excellent ambiance, service and great Primed dishes to nourish your Mum’s body, mind and spirit. 1. The Wholesome Table at BGC, Salcedo Village and Estancia. A must try is their organic salad shown below. A top restaurant with review here. Here are my 6 Top Restaurants for you to Celebrate Valentine’s weekend with your Loved ones. All have excellent ambiance, service and great Primed dishes to nourish your heart for the season of love. 1. The Wholesome Table at BGC, Salcedo Village and Estancia (Capitol Commons). 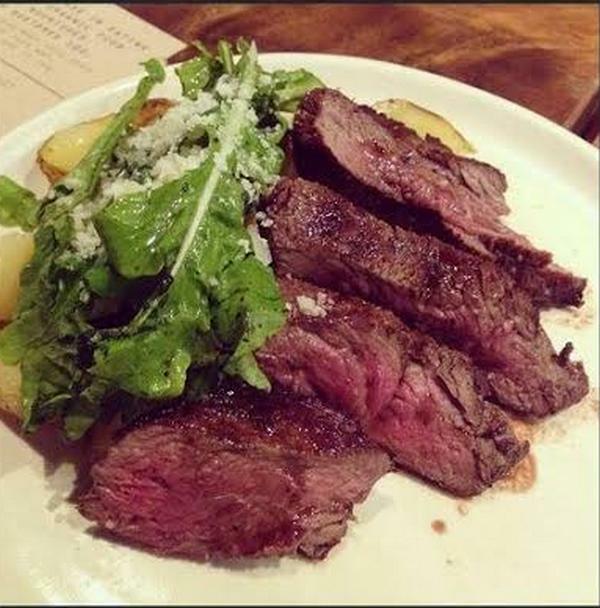 A must try is their Grass-fed beef and fabulous organic salads. Love this place with the review here. A lot of my friends try The Wholesome Table and love it too. It is a great local business to support as they in turn support local businesses. Here are my 10 Top Restaurants for you to Celebrate this Father’s Day weekend with your loved ones. All have excellent ambiance, service and great Primed dishes to nourish your Dad’s body, mind and spirit. 1. The Wholesome Table at BGC. A must try is their Grass-fed beef. A top restaurant with review here. The Wholesome Table also has a new branch in Salcedo Village. It has the great food you have come to expect but also a rocking atmosphere. We love it. Everyone I know that has tried Chihuahua Mexican Grill and Margarita Bar loved it. I have tried all 4 branches and I am a fan too. My family and I are fans because the food is fresh and it is easy to get delicious Primed Salads. The ambiance is casual and cool. 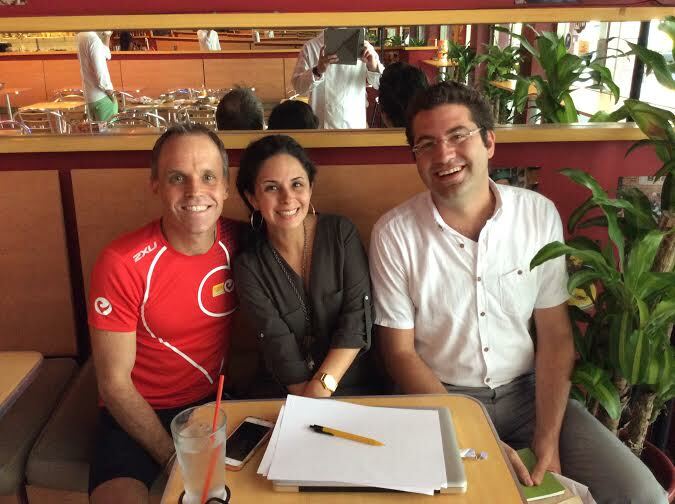 I am friends with owners Ines and Elian Habayeb so I know the quality is excellent as they are both perfectionists. Ines with Marc and myself. Ines is also a very healthy, real food person who is expecting a beautiful baby later this year. 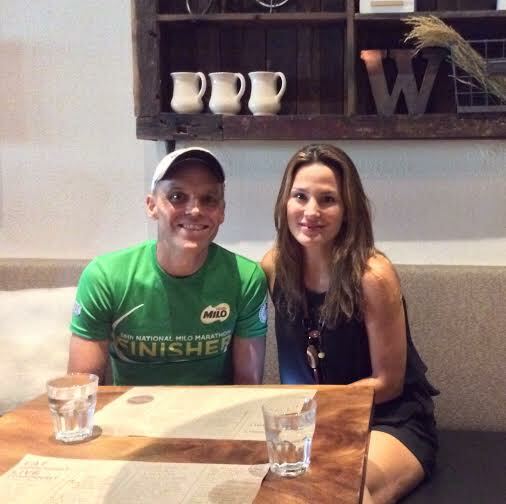 The most fun I ever had at Chihuahua Mexican Grill was collecting my 2XU Special Award for Best Run Split of 3:28:27 as part of the Melbourne Ironman in 2014.